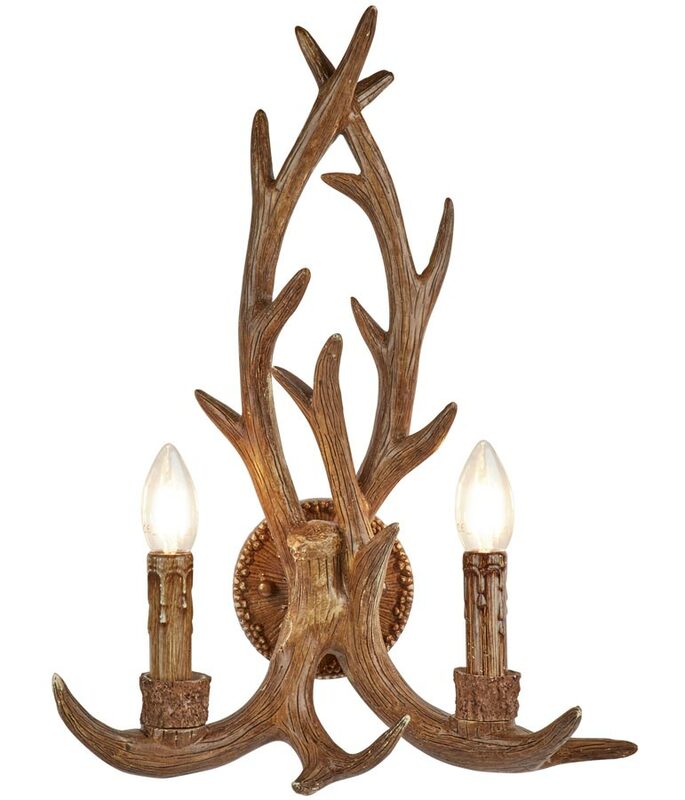 This Stag 2 light weathered antler style rustic wall light is striking and stylish. Featuring a circular mount and body created to look like stags antlers. The arms resemble intertwined stags antlers fitted with upright candle lights. Constructed from a metal core covered with cast resin and finished in weathered rustic brown. Now you can create a focal point on your lounge or dining room wall with this striking twin wall light. The lights sit on weathered looking antler style arms around a central mount that creates style and makes it stand out from the crowd. There is a matching 6 light antler chandelier available; please see below. Supplied by Searchlight who manufacture some of the best traditional and modern classic designs such as the Stag 2 light weathered antler style rustic wall light you see here.